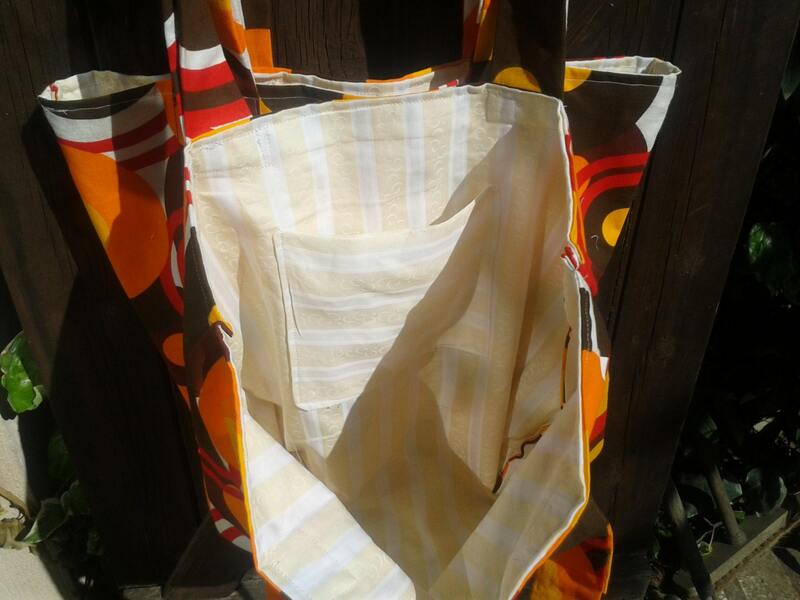 Cream and yellow striped fabric lined. 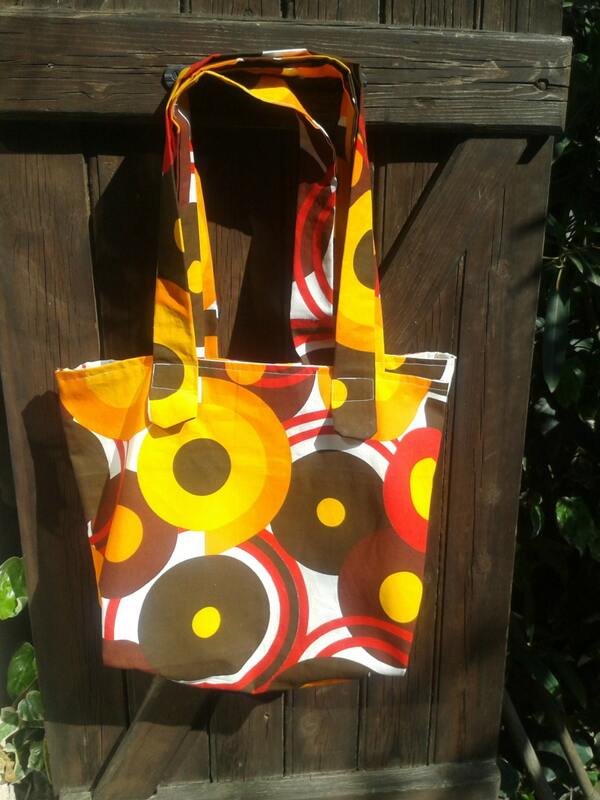 The fabric is original from 60's made in France . I love hunting Fabulous vintage and antique fabrics ! 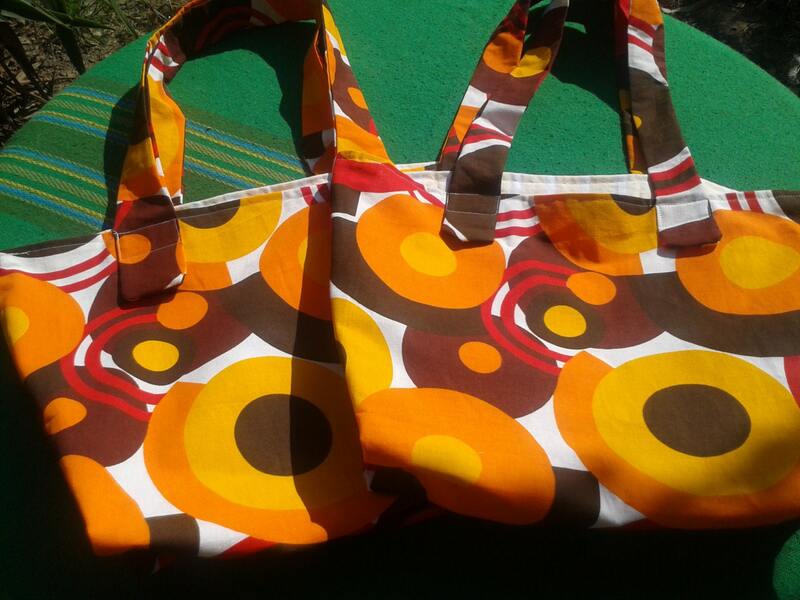 So this is one that I've transformed with LOVE into a bag ! 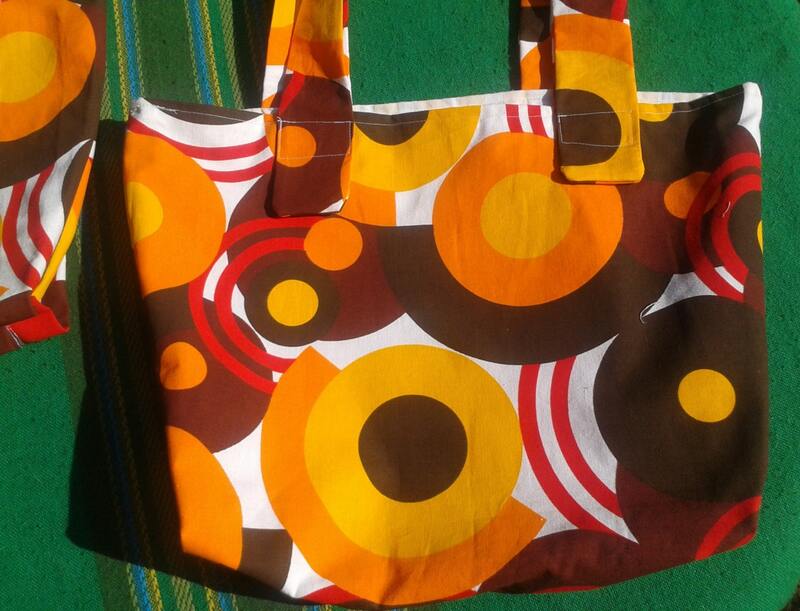 Very Original French 60's Bag ! 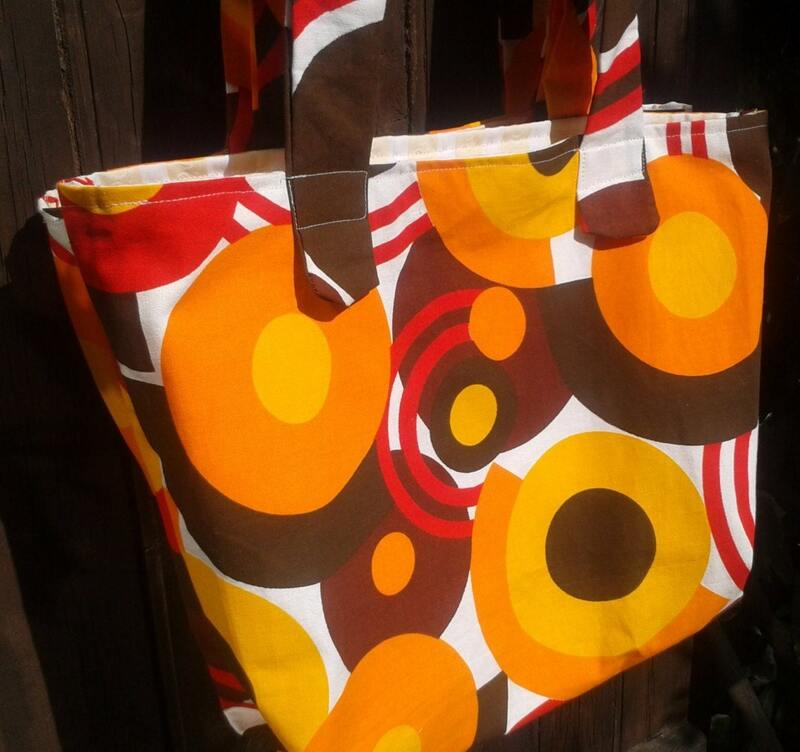 Another 5 stars i love this bag it has such a great energy !!!! Great seller !